Magazines are now becoming more than just what you hold in your hand. Expanding their coverage, giving the readers behind the scenes videos from their comparison testing. 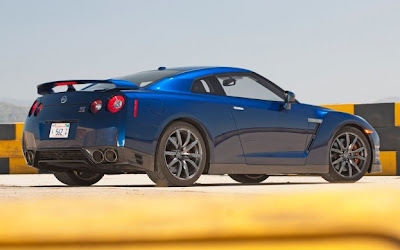 In this video from Motor Trend, part 1 of 3 in their Best Drivers Car 2011, Johnny Lieberman takes Justin Bell on a ride in a 2012 Nissan GT-R during testing of the competitors. Everything from a Ferrari 458, to a Lexus LF-A.